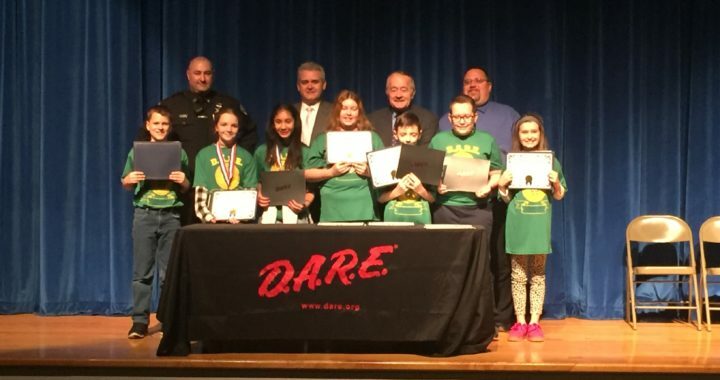 The 5th Grade DARE Graduation at Van Rensselaer Elementary School was held on January 16th. 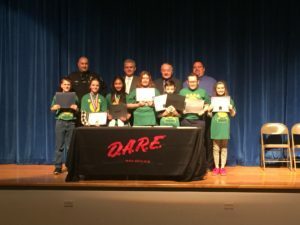 In the photo from left to right are Rensselaer County Sheriff Deputy and DARE Officer Jeff Russo, Rensselaer County Executive Steve McLaughlin, Rensselaer County Legislature Chairman Mike Stammel and Rensselaer City School District Superintendent Joe Kardash. Student award recipients are Josh Kretzschmar, Ava Muller, Mia Robles, Ava Atchinson, George Krause, John Albarelli and Angelica Lawrence.